Commuting to work in the city can be agonizing and especially terrible if you are reliant on the public transport system with its frequent delays and cancellations. OurBus is a forward thinking, technology-enabled bus company that uses crowdsourcing to generate optimal schedules and routes. The buses are equipped with Wi-Fi, offering digital ticketing and other amenities. The company offers a number of commuter routes from the suburbs into the city and back and even has some longer haul routes intercity that connect New York to locations like DC and Binghamton. 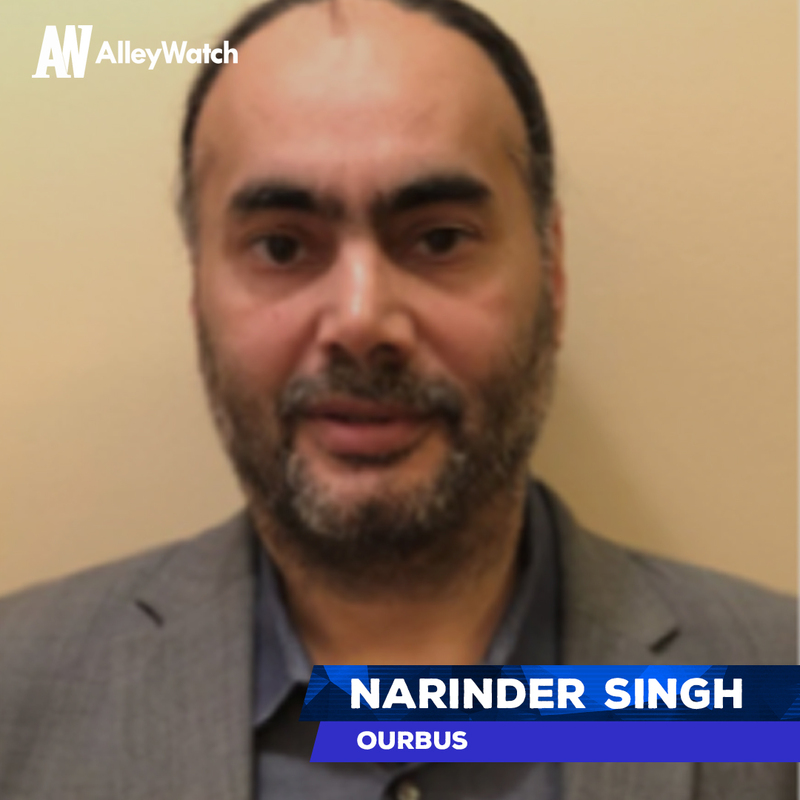 AlleyWatch sat down with founder Narinder Singh to learn more about the company, its origin, and where they plan to expand to next. 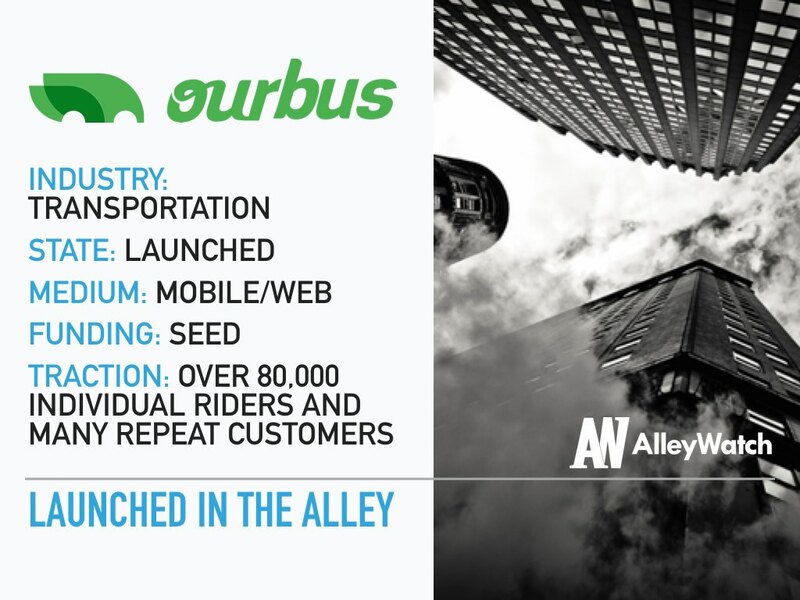 OurBus is a tech company that’s reinventing the way people commute and travel, by using crowd sourcing to suggest new bus routes, and offering customers a mobile app to make bus travel easier. Our commitment to our customers and use of crowd sourcing – using customer input to generate bus routes and schedules – is what differentiates us from the competition. Also, we strive to make our customers’ lives more efficient, and less stressful. For example, for our New Jersey to Manhattan commuter routes our customers don’t need to wait on long lines at the Port Authority to buy tickets. They can purchase tickets on our mobile app, and also track the status of their bus in real-time. The market for bus travel is anyone who commutes into a major city or makes trips between 50-400 miles. There are millions of commuters into New York City alone, and billions of long-distance bus, car, train, and air trips every year. We partner with charter bus companies to bring crowd sourced commuting and inter-city travel options to the masses. Rather than just offering a commuter service – which would leave many buses idle outside of rush hour – our business model is based on dual usage of buses for commuting and intercity, leisure travel. Seeing the stress that many of my friends who commuted from New Jersey into New York City were under inspired me to launch OurBus. Each year, their commutes were getting worse, whether it be late or broken down trains and buses. Moreover, I firmly believe there should be low cost city-to-city travel for college students, millennials, and families on a budget. From your data, what routes are most popular among New Yorkers? On the weekdays, our busiest route is commuters from suburban West Orange and Livingston, NJ. On the weekends, the busiest route is between Washington, DC and New York. We plan to scale to 45 routes and 3 times the revenue in 6 months. The one piece of advice that I never got was that nothing will ever go per plan, but as you pivot and struggle the opportunities will become better. Ex-Mayor Bloomberg! I am a huge fan. He knows how to scale and the importance of supporting sustainable business practices. His long-term vision is second to none. I would love to have Mr. Bloomberg as an advisor, partner, and/or investor. We launched in New York, because this city is truly the transportation capital of the nation, and quite possibly the world. With nearly 320,000 New Jersey residents commuting to and from New York City, it made sense for us to be headquartered here. 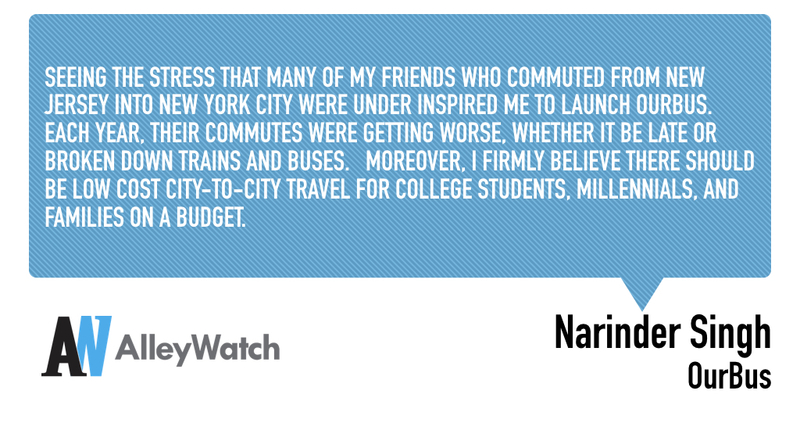 Some of us are commuters, or travel frequently from New York City to other regions on the East coast.